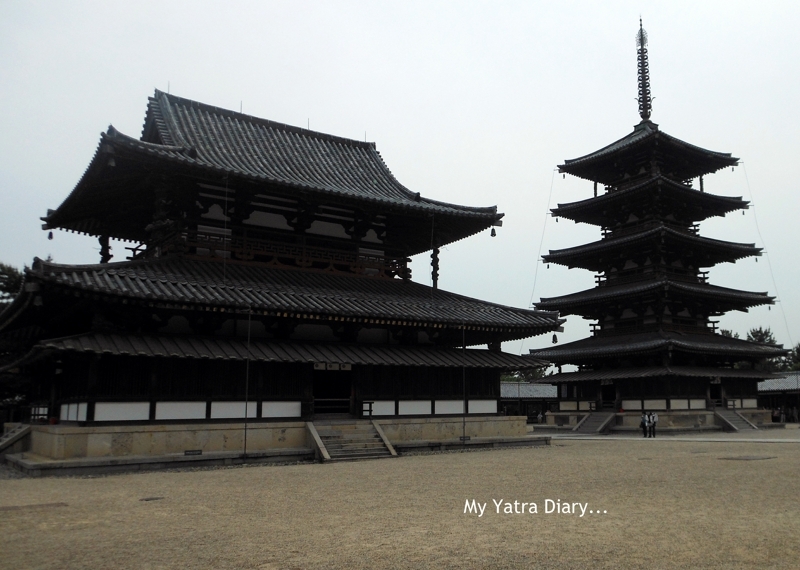 Our Nara trip commenced by a visit to the Horyu-ji temple, acclaimed to be the very first national heritage of Japan. And the moment we stepped in, we could see exactly why! Situated in Ikaruga, Nara Prefecture of Japan and spread in an area of 187,000 sq mtr of land, Horyu-ji temple (Temple of the Flourishing Law of Buddhism) is huge and dedicated to a statue of Buddha literally meaning ‘Arrival as a healer’. 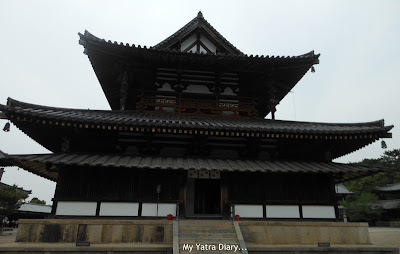 Besides being a place of prayer, the temple today is globally renowned for housing the world’s oldest surviving wooden structures which shed ample of light on a few significant pages from a rich book of Japanese history. As we passed through the middle temple gate, all my eyes could see were old wooded historical buildings and structures strewn all around, all of them promising enough to take me back to an era gone by. As someone who loves delving into myths, legends and stories, it was easy for me to fall in love with this place and the wonderful guiding company in Sarah, cosmos and a local guide only made it so much more easier. The entire temple precinct is divided into two parts - the Sai-in in the west and the To-in in the east, each containing notable places like the Kondo hall, the temple's five-story pagoda, the octagonal remarkable Yumedono Hall, etc. Together, we did a lot of hopping, around the premises trying to make the best of the temple precincts in the time available to us. This is the main hall in the temple that gives you a glimpse into the temple's history. 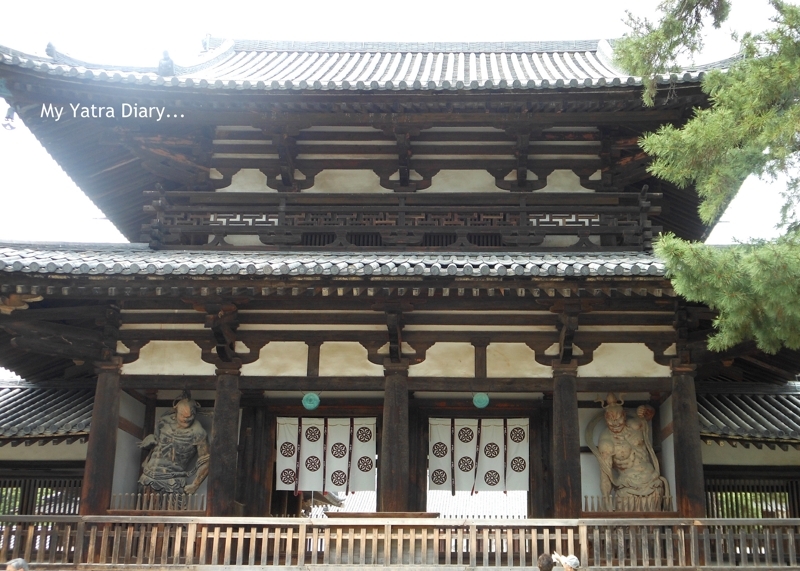 The Horyu-ji temple and a Buddhist statue was originally a wish of Emperor Yomei as a prayer for his recovery from an illness. Sadly enough, that desire was never to be fulfilled and he died soon after. 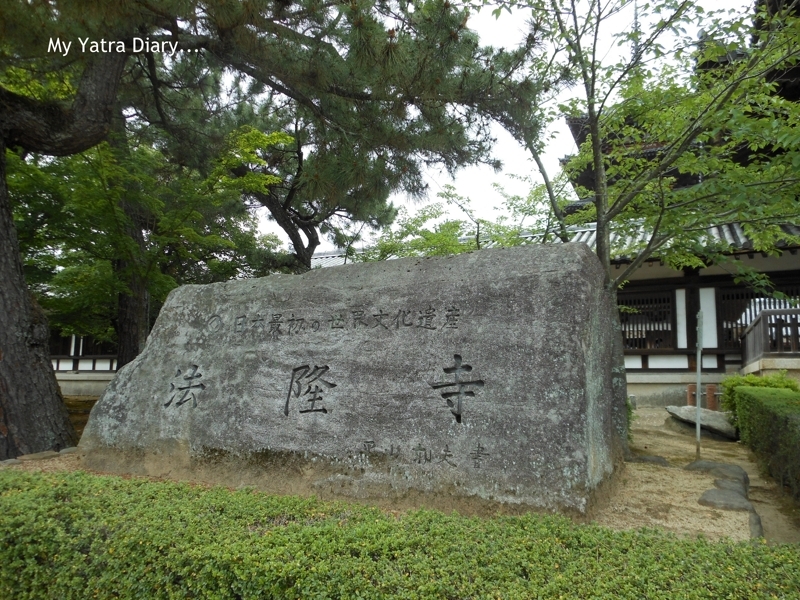 However, his son - Emperor Shotuku kept his father's wish alive by building a temple and a statue of Buddha, the same one that we see enshrined in the Kondo hall today. Just besides the Kondo hall is the five storey pagoda celebrated as the oldest surviving structure in the world. The intricate beauty of tall structure or the fact that it such an antique. The structure was equally impressive and daunting, both at the same time! 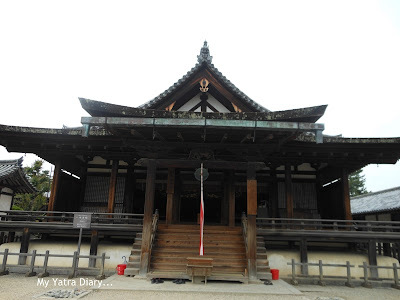 Located at the heart of the temple complex, the hall of visions houses beautiful life size statue of Prince Shotuku dating back to the eight century, believed to be a manifestation of Kuse Kannon. People pray for the peace of his soul here. Built in the in the 13th century, this place houses the statues of Prince Shotoku along with a few more people associated with him. We did not go inside but just ringing the bell hanging outside gave a unique sense of peace. Daiko-do hall was originally built in 925 as a place for monks to practice their Buddhist studies and a place where memorial services could be conducted. Unfortunately, it was burnt down when lightening struck and had to be reconstructed in 990. Just moments after walking in here, I realized the place indeed stays true to its name. The gallery is a vast treasure house of valuable and ancient Japanese culture, arts and crafts very carefully preserved within its walls. Spanning an impressive journey through the long history of Horyuji, the items on display include miniature pagodas, various murals and other historical treasures. Photography is not allowed inside. Located inside the gallery, was an image that was so mystical and impactful that it has stuck in my mind till date. The Kudara Kannon Hall (in the gallery of temple treasures) houses a slender and elegantly graceful Buddhist statue of the Kudara Kannon. He holds a healing potion in his right hand and a blessing in his left, which says - Come to me, I will heal you. As I stared into his deeply compassionate eyes, I could feel a strange aura envelop my body. And I could feel a surcharge of positivism flow in my heart... as if, it were pouring straight out of the healing pot right into my soul. We spent a few quiet minutes in the hall simply staring at the powerful image. This undoubtedly, for me, formed the highlight of the Horyu-ji temple. However, sadly, photography was prohibited inside the hall. Besides all of the above, Horyu-ji temple had a lot in it's complex grounds still to be seen and savored. But, after a lot of walking and good exploring around for around 3 hrs, we decided to move on to our next place in the itinerary. 1. The place is vast, both geographically and historically, so take care not to cram too much into your itinerary lest you exhaust time for the other spots in the city. 2. You need a lot of time and energy if you wish to go for the entire temple tour but the place is so deeply soaked in history that a small tour is also enough to get a gist of the place. 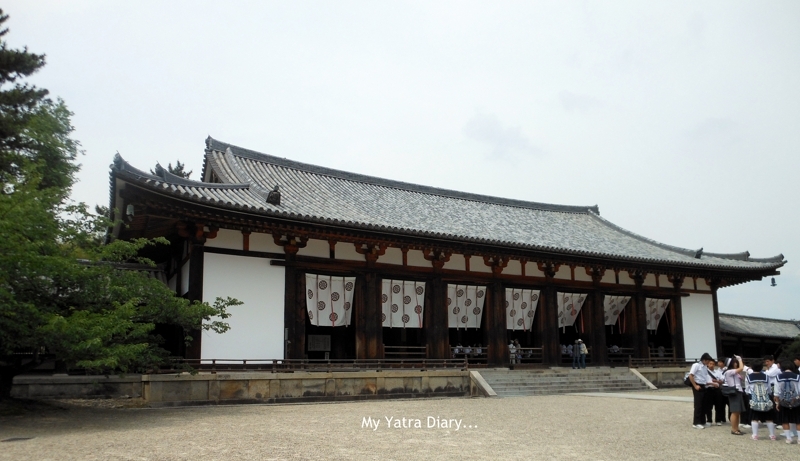 Horyu-ji is located about 12 km outside of central Nara. One can catch a train from JR Nara Station and take the frequently departing Yamatoji Line to Horyuji Station. From there, it is a 20 minute walk or 5 minute bus ride to the temple. Those structures look brilliant. You have captured them well. Nice post Arti. I do so love the trips you take us on, Arti, via your wonderful captures and the information you include!! The next best thing to being there myself!! Hope you've had a great week and have an even better weekend!! Japanese temples always look so effortlessly powerful. Another Gem of Post in your Japan Journey. What amazes me how you keep a check on difficult Japanese words. Also this part of Japan you get a sense that it is vast and has lot of space and then there is Tokyo which is very low on space. Does more people live in Tokyo then interior of Japan ? Wow, this looks like the place I might choose of all the ones you have shown. The old wood is very well kept and beautiful!!! It almost glows. Beautiful temple...just awe-inspiring. You saw so much on your trip..this is wonderful. I used to see a blogger from Nara, but have lost track of her posts. It seems like a beautiful city full of history. what very valuable tips you have shared for future travelers to Horyu-Ji Temple in Nara, Arti. I feel like I have a taste of its history already reading from you and seeing your images. I just fell in love with Horyu-ji temple. How magnificant that wood work architecture is. I can understand how bad it feels when photography is prohibited at such beautiful places.Thanks for this post Arti. Have a lovely weekend. looks like your japan odyssey is till going on..lovely!! @Abhishek Bhardwaj: I myself am not sure on the words, Abhishek. I make it a point to check on them on the internet or the pamphlets that I have brought back from Japan to make sure I am using the right ones. And then, my Japanese friends are always around to correct me when I am wrong. I think your observation on space stems from the fact that Nara has no skyscrapers and goes easy on malls and other such things. On the other hand, Tokyo, also the capital of Japan, has it all and it is also the most populated of all cities in Japan. food only if you are 'pure vegetarian' and that too can be averted if you take some time out to google things out beforehand. This is especially true for bigger cities like Tokyo. Smaller towns like Nara can be a bit fearful though. @Kulasa: Thank you kulasa for such a wonderful comment. The Japanese Temples have that calming effect inbuilt, one reason that I can see why... is that most of them are seated comfortably in the serenity of nature. @Rahul Bhatia: It is amazing indeed! They do restoration work on these sites often. We can surely learn a thing or two from them about preserving our national heritage. Such a contrast to your normal posts, as always I've enjoyed sharing in your Japanese adventure. Thanks for sharing not only your photographs but your thoughts. Thank you nice explanation. You know better about this temple than I,who guided you. My favorite is the same as yours. It's The Kudara Kannon. You explain the statue very well. I am looking forward to your guid of the next place. Well written. Sky Tree was used the way of building of five storey pagoda. Old knowledge is amazing. Lovely temple , nice and elaborate description . Thanks for the virtual tour . Lovely pictures - such beautiful buildings! Fantastic info, and I hope to visit Japan one day! What a beautiful place! I really like how many different kids of structures they have in this area. I love Japanese architecture so I could have spent hours here. 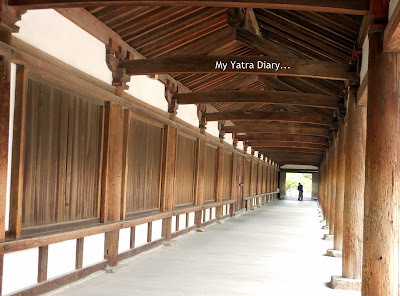 Yes Arti, I saw your comment on the latest post by Keiko on her blog about Nara. Japanese structures are always beautiful, they have a classic charm. Beautiful pictures, Arti. :) Waiting to read about your Melbourne journey soon. You are supposed to travel to Melbourne this month I believe? Hi. Your photos are very beautiful. I remembered the days when I went there. So graphic tese roof shapes. Japanese have such a feeling for strong yet simple and elegant shapes. Have a lovely monday dear Arti! beautifull post on the japanese temples...the 5 storey pagoda looks so unique...it amazes me whenever I see such structures that in our ancient times the architects must have had a aesthetic sense.Your earlier post on the town of Nara was very nice too, clean and beautiful town.I think the state of our mind can be reflected by our surroundings.Wish our cities could be as beautifull...luckily our indian villages still have a rustic beauty and charm. beautiful pics, look at the way the temple has been kept so much clenanliness and compare to the temples here we have in our nation .. The temples are so different from anything else around the world. I love the style of them. These traditional wooden structures are a work of art. That pagoda does stand out. Wonderful shots of the temple. 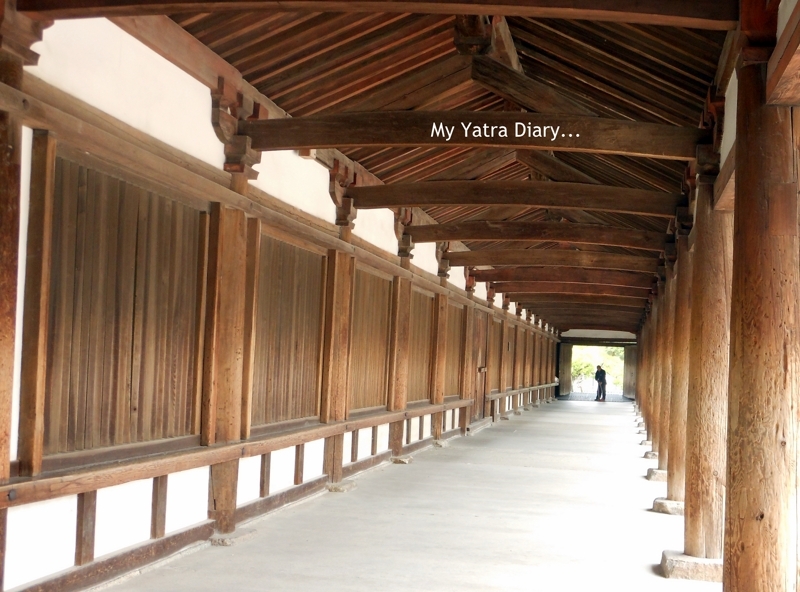 I have been spellbound by the whole Japan series...great work indeed Arti! A wooden structure surviving for so long is a marvel in itself-not to speak of the beauty n cleanliness. You gave me a nice trip Arti!!!!! As usual you provide us with a virtual trip Arti! So much of Japan remains unseen. Thanks for showing us what I may never see otherwise. 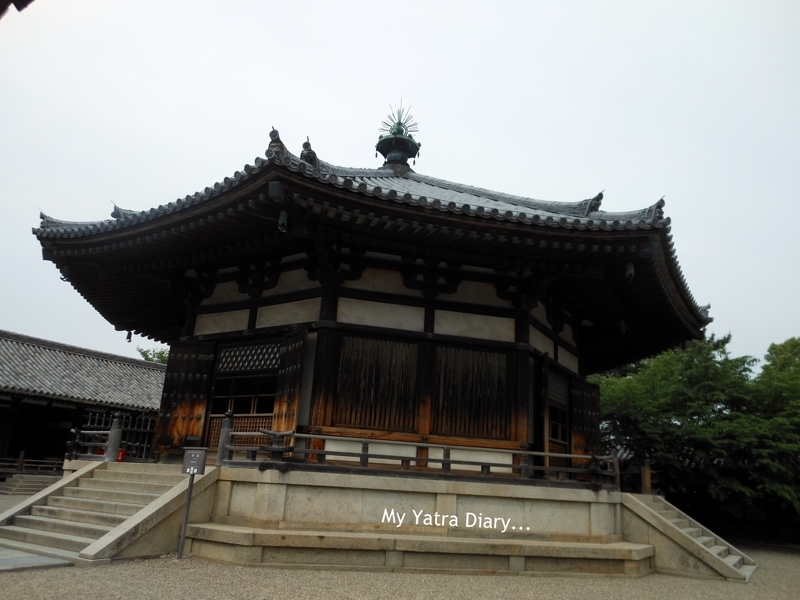 Arti, are most of the temples in Japan are Buddhist?